Scan Your Non-UPC Barcoded Purchases! We know how you love NCP tips, so here’s a few more! Hopefully these will make your NCP experience easier and more enjoyable. Many panelists have questions about recording non-UPC barcoded purchases. As you probably know, you can record purchases that don’t have a barcode by using the Barcode Reference Booklet or, if you participate with the NCPMobile App, use the Non-Barcoded Items list in the app. I would advise panelists to review the Barcode Reference Booklet or the Non-Barcoded Items list to become familiar with all the different categories and items that are available. If you buy clothing, you can record those items, too! Other items you should record include cold cuts, cheese, meat/poultry/seafood, baked goods, candy/nuts/seeds, coffee, prepared foods, take-out food, plants and flowers, prescription drugs, and more. If you purchased items that don’t have a barcode AND are not listed in the booklet, you should still include their cost when entering the total amount of the purchase. You don’t need to record services that you receive, such as dry cleaning, movie/concert/sporting event tickets, haircuts/styling, and car washing, among other things. At this time, NCP doesn’t collect information for service-related purchases. 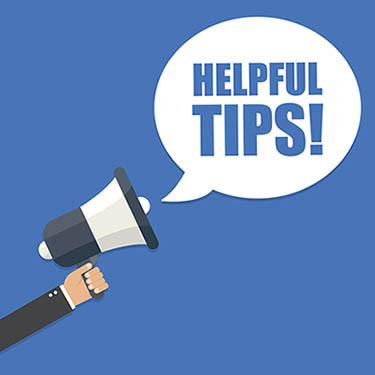 We hope these tips help you be an even better panelist! Hard to believe, but Memorial Day is already (almost) here. Time really does fly. While Memorial Day travel plans and BBQs are on many peoples’ minds (nothing wrong with that), I thought it would be nice to write about other ways of commemorating the day. Last year I mentioned that my family and I would be spending some time at a local National Cemetery placing flags on fallen solders’ gravesites. We will again be doing that. But there are other things that people can do to recognize the day, too. Take some goodies to a nearby Veteran’s hospital. Go to a Memorial Day parade. Visit a search engine like google.com and search for “Memorial Day events near me. Watch a movie and learn some history about famous battles of the past. Check out The History Channel and The Military Channel for some good movies/documentaries. Create a card or picture or a care package to be sent overseas to a soldier currently serving our country. 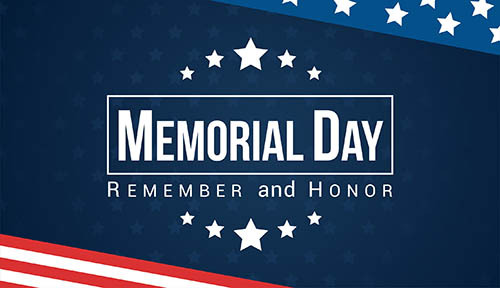 Reminder: In commemoration of Memorial Day, the Panel Support Center will be closed on Monday, May 28. The PSC will reopen on Tuesday, May 29, at 9 a.m. ET. I hope you enjoy your long weekend. Well, finally the weather here in the east is getting warmer, which means it’s time to go outside and get some exercise! I need to be prepared because our company is participating in a corporate event in July where you can run or walk in a 5K race. Plus, they are sponsoring a running club to help us get ready for the race. I’m looking forward it! Now I certainly have no interest in running a marathon (but hey, in a few years, who knows! ), but I just want to keep moving, especially in the nice warm weather. According to statista.com, more than 64 million people went jogging or running in 2016 in the U.S. One of the main reasons to start jogging or running is to improve your fitness. According to statista.com, in 2016, about 24% of Americans stated that exercise was the primary reason for them to start running. 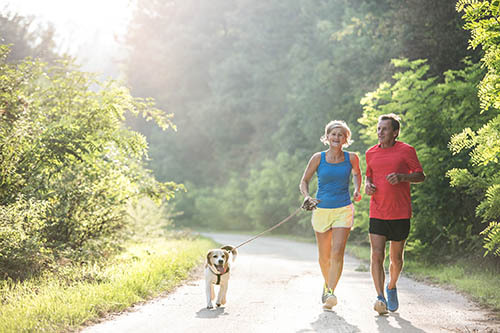 If you don’t want to run or jog, there are many other outdoor activities you can do. Walking for fitness had nearly 110 million participants in the U.S. in 2015, according to statista.com. So you see, there are plenty of things to do to get moving. But the important thing is to start moving! What are some of your favorite outdoor workout activities? Do you have any favorite songs that you listen to while working out to keep you motivated? I’m putting together a list of songs that will keep me going. I could use your help with some suggestions, so please send them to me. How Do You Celebrate Mother’s Day? Mother’s Day is just around the corner! This year, we’re going out to eat, as will a lot of other people: According to a National Restaurant Association survey, approximately 87 million adults will go out to a restaurant for a special Mother’s Day meal this year. Of those going out to eat, nearly half will go out for dinner, while 35% of adults plan on taking their moms to lunch, and 24% will have brunch, according to the National Restaurant Association. Another 11% said they would go out for breakfast. So, how are you celebrating Mother’s Day? Going out? Staying in? Ordering take out? Let us know! And I do love my plants! I know plants and flowers are always popular Mother’s Day gifts. 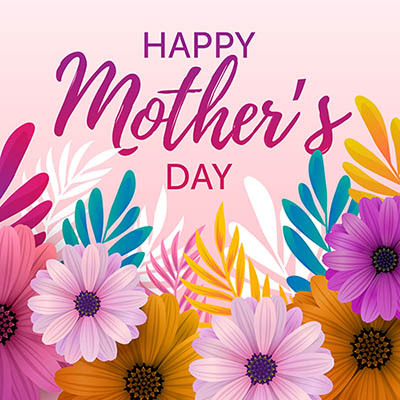 In fact, one-fourth of the flower and plant purchases made for holidays occur at Mother’s Day, according to the Society of American Florists. According to Prince & Prince’s Mother’s Day 2018 Floral Market Projection report, total U.S. sales of all consumer floral retail purchasing could reach about $4.4 billion this year, a $200 million increase over 2017. The report also projects that this year holiday spending per floral-purchasing household will reach more than $78 on average (including delivery and fees). Since I mentioned going out to eat and buying plants and flowers, and these items usually don’t have a barcode, I want to remind all panelists that you can still record these purchases using the Barcode Reference Booklet if you use a handheld scanner, or if you have the NCPMobile App, the Non-Barcoded Items listing in the app. Scan the Floral barcode in the Barcode Reference Booklet to record all of your household’s living plant and flower purchases that do not have a barcode or have a barcode the scanner won’t accept. Do not scan this barcode to record purchases of plant food, potting soil, fake flowers/plants, planting pots, and other items of this nature since these items have a UPC barcode. Scan the Take Out – Home Delivery barcode if you, and/or a member of your household, pre-ordered food from a restaurant/fast food establishment (Chinese food, pizza, etc.) and had it delivered to your home. Scan the Take Out – Pick Up/Eat in barcode if you, and/or a member of your household,ordered food by phone/app or drive thru or inside the establishment for pick up or to eat-in. Choose the Floral category in the Non-Barcoded Items list to record all of your household’s living plant and flower purchases that do not have a barcode or have a barcode the app won’t accept. Do not scan choose this category to record purchases of plant food, potting soil, fake flowers/plants, planting pots, and other items of this nature since these items have a UPC barcode. Choose the Take Out-Home Delivery category in the Non-Barcoded Items list if you, and/or a member of your household, pre-ordered food from a restaurant/fast food establishment (Chinese food, pizza, etc.) and had it delivered to your home. Scan the Take Out – Pick Up/Eat in category if you, and/or a member of your household,ordered food by phone/app or drive thru or inside the establishment for pick up or to eat-in. Thank you to all who participated in our recent survey and gave us their thoughts about the NCP Blog. We really appreciate it! One of the survey questions was “what topics do you like to read about.” Well, a large percentage said they like to read tips about scanning and panel membership. So we thought now would be a good time to pass along some tips! The best time to scan your purchases is as soon as you get home from a shopping trip. This way the purchases are fresh in your mind! Use your receipt as a guide. Make sure to scan the actual barcode on the items purchased, and not the receipts from the stores! Thanks, and enjoy the weekend!